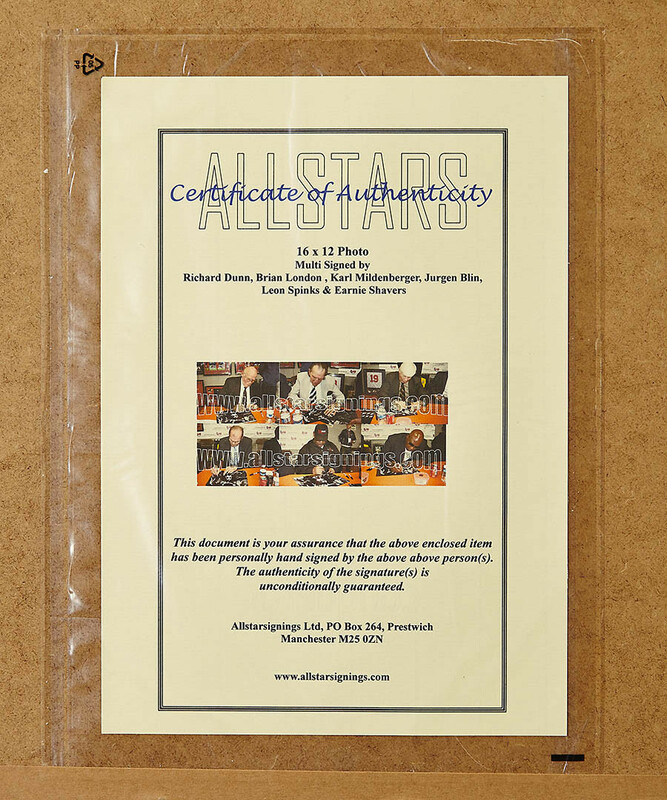 Please note, this item is dispatched directly from the supplier, therefore an additional delivery charge of £5.95 will incur. 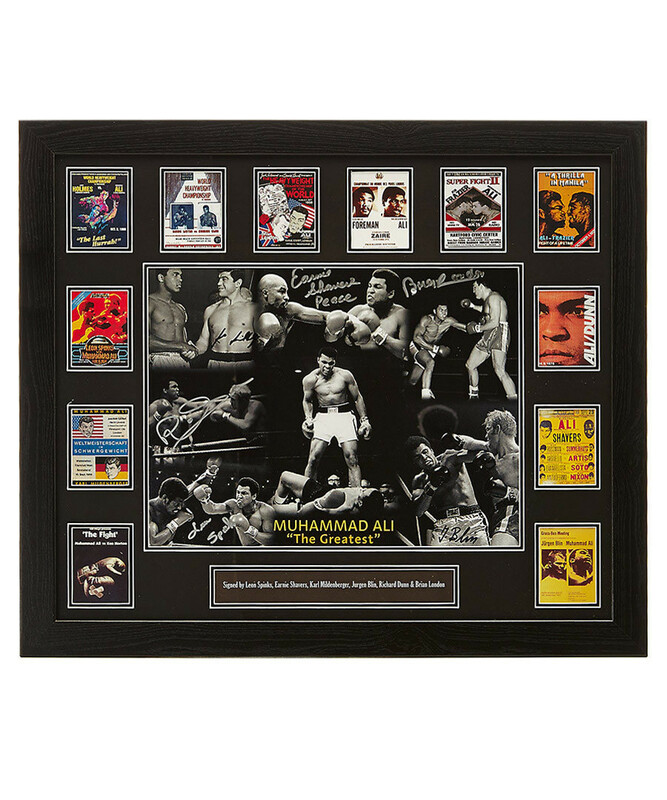 Take advantage of this rare opportunity to own a montage of the great Muhammad Ali signed by six of his opponents: Leon Spinks, Earnie Shavers, Richard Dunn, Brian London, Jurgen Blin and Karl Mildenberger. The perfect gift for avid boxing fans.